Everybody loves Tom Hanks. 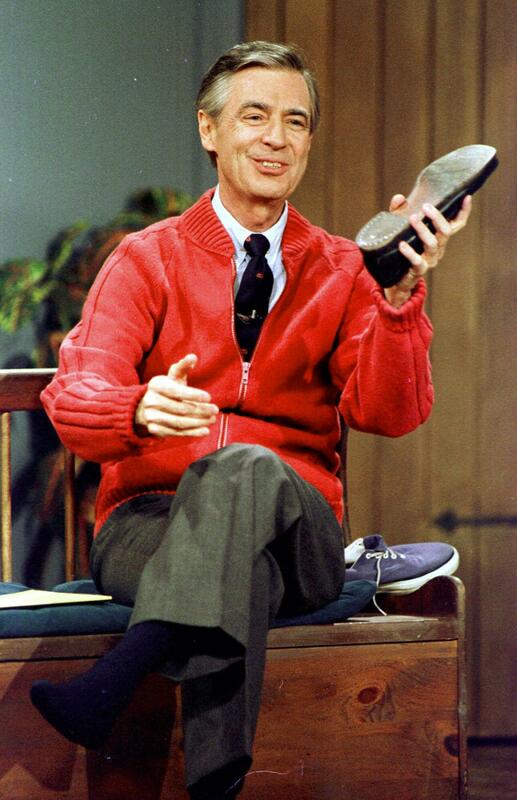 Everybody loves Fred Rogers. 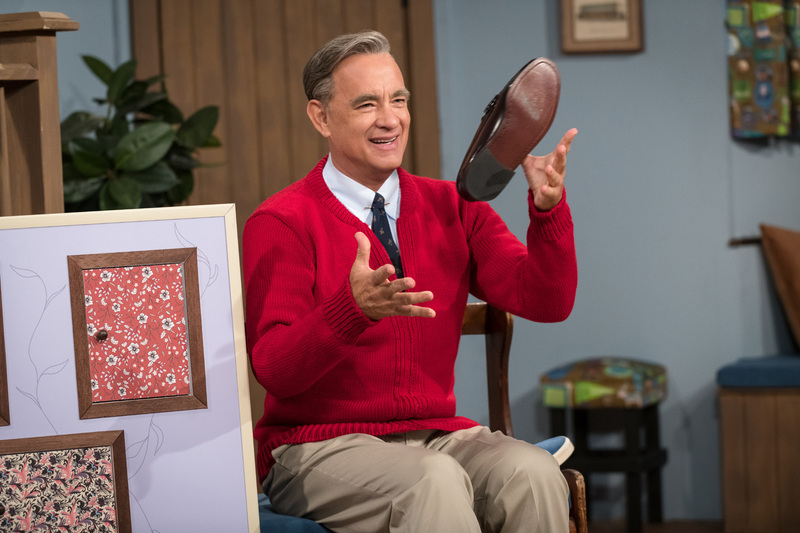 It makes sense that the beloved A-list actor is donning the beloved children’s programming pioneer’s iconic red sweater for director Marielle Heller’s A BEAUTIFUL DAY IN THE NEIGHBORHOOD. And in this new still released today, Hanks is right in the middle of Rogers’ opening number, where he arrives home to get casual, switching from dress shoes to tennis shoes. 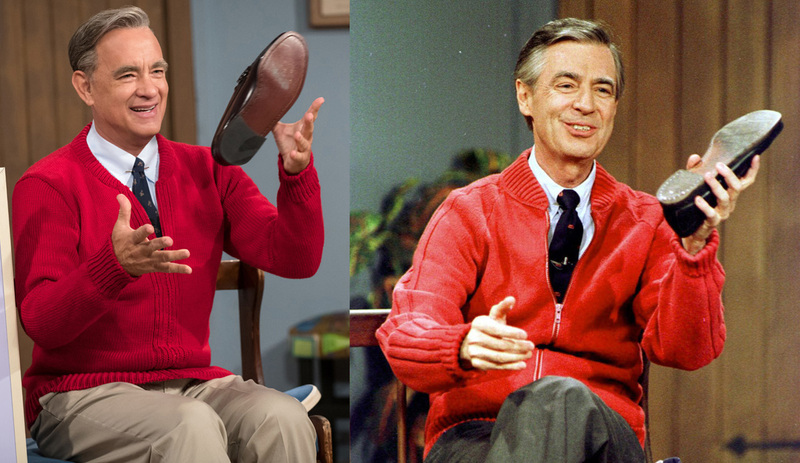 The above photo is uncanny compared to this photo of the man himself, during rehearsals of the opening of his PBS show ‘Mister Rogers’ Neighborhood’ during a taping in June 28, 1989, in Pittsburgh. Fred Rogers rehearses the opening of his PBS show ‘Mister Rogers’ Neighborhood’ during a taping in June 28, 1989, in Pittsburgh. Courtesy of the Associated Press. A BEAUTIFUL DAY IN THE NEIGHBORHOOD opens on November 22.